MADRID, Spain – Communication is the best way to achieve peace, a top Vatican official told Jews, Christians and Muslims. “The Holy Father believes that a dialogue founded on love and truth among the followers of Judaism, Christianity and Islam is the best way to help turn all peoples of the earth into one single family,” said Cardinal Jean-Louis Tauran, president of the Pontifical Council for Interreligious Dialogue. He spoke July 18 during closing remarks at the World Conference on Dialogue, a three-day meeting initiated by Saudi Arabian King Abdullah Aziz. Representatives of other monotheistic religions, such as Buddhism, Hinduism and Shintoism, also attended the event. The cardinal also defended religious liberty, saying it should include the opportunity to take part in the public profession of faith. King Abdullah, who called Islam “a religion of moderation and tolerance” in his opening-day speech, is a Muslim whose country forbids the public practice of religions other than Islam. More than 200 religious, political and cultural figures were invited to attend. Among them were Spanish President Jose Luis Rodriguez Zapatero and King Juan Carlos; former British Prime Minister Tony Blair; the Rev. Jesse Jackson, U.S. civil rights activist; and Rabbi David Rosen, director of interreligious affairs for the American Jewish Committee. 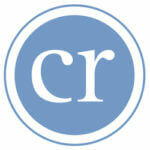 Cardinal Tauran said mistakes of the past do not have to be repeated. “Jews, Christians and Muslim do not believe in destiny. They know that, God having endowed them with a heart and intelligence, they can change the course of history,” he said. The event, organized by the Muslim World League, was held outside the Spanish capital at El Pardo Palace, a site chosen for its historical significance. Jews, Christians and Muslims in Spain lived together in relative peace for a time in large Spanish territories once ruled by Muslims. Cardinal Tauran called King Abdullah’s initiative “an act of great courage” and said the event answers Pope Benedict XVI’s desire for interfaith communication. King Abdullah’s meeting with Pope Benedict in November was the first such meeting between a pope and a reigning Saudi monarch. 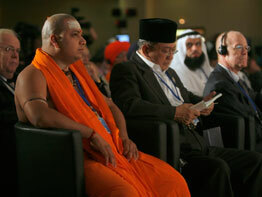 The conference addressed common concerns for all religions, such as morality and protecting the environment, while shunning talk of religious theology and politics. “Mankind is suffering today from a loss of values and conceptual confusion, and … is witnessing a proliferation of crime, an increase in terrorism, the disintegration of the family, subversion of the minds of the young by drug abuse, exploitation of the poor by the strong, and odious racist tendencies,” King Abdullah said. “This is all a consequence of the spiritual void from which people suffer when they forget God. … There is no solution for us other than to agree on a united approach, through dialogue among religions and civilizations,” he said.